SkinLife is not just a clever name. 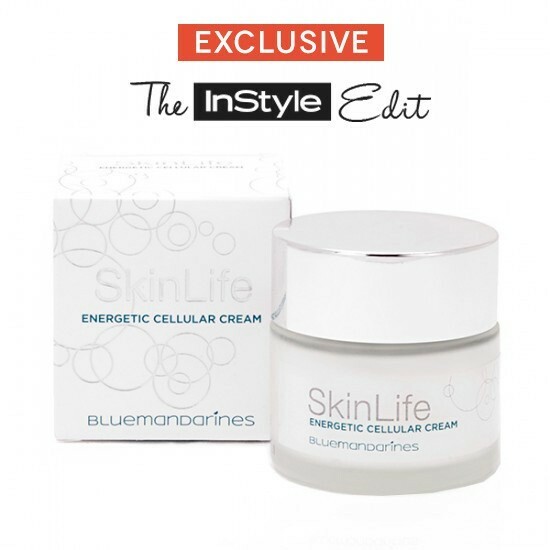 This moisturiser contains concentrated peptides that stimulate and protect the skin stem cells, helping the creation of new skin cells – effectively giving life to your skin! Collagen and hyaluronic acid also help to improve skin tone and elasticity. My product was a travel sized sample in different packaging from the full sized version. The product has a spa-like scent which is refreshing to the senses before use. 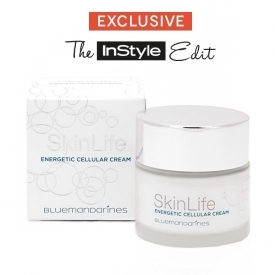 The moisturiser is easily absorbed and slightly tightening to the surface of the skin. I found that I needed to discontinue using the product on a daily basis as it caused me some itching and could only use it every two or three days at the absolute most. For people with sensitive skin this may not be the most suitable product. Easily absorbed and not greasy on skin. I don't feel my skin was redensified or tensed. Not entirely sure I want it to be either! I got a generous sample of this in a beauty box and it made some pretty big claims. I suppose for the price it needs to be more than a moisturisor. Unfortunately I found it to be little more than a moisurisor. My skin felt refreshed but my the end of my time with it I did have patches of dry skin. It also has quite a strong scent, the sort a company goes for when it wants to imply marine ingredidents. It doesn't smell of the sea, more like suntan lotion I think. It would be fine for a body product but is strong to use on the face.